Truck Thursday, Hot Rod Ford. 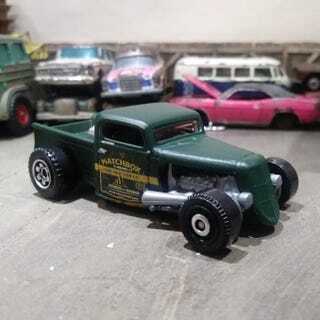 The new Matchbox ‘35 Ford pickup is amazing. There isn’t a bad angle on this car. I’m really looking forward to getting this on the workbench. Though to be honest, I’m not sure what i would do beyond repainting and detailing it.